Welcome to my Events and Book Signings section. If you missed out on one of my events you can check them out here and see what you missed. As I do more events and signings I will continue to populate this area with photos, videos, and details about the events. 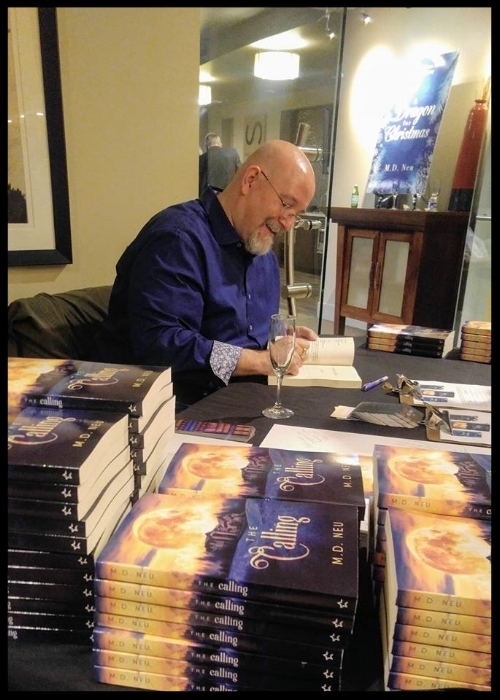 February 21, 2019 was the launch party and reading for my newest novel A New World-Contact, published by NineStar Press. Contact is the first book in a planned four book series. Jill Bourne, City Librarian of San José, California provided the Key Note Address and author M.D. Neu conducted a reading from his new book. The Book launch for The Calling was held on January 11, 2018 at the AXIS Building in Downtown San Jose. The event was hosted by David and Khanh Russo; Khanh represented the San Jose Mayor’s Office. Among the attendees were Rainbow Chamber of Commerce Silicon Valley Chamber Board Members Bettie Owen and Franco Candelario, and San Jose Mercury News Reporter Sal Pizarro.